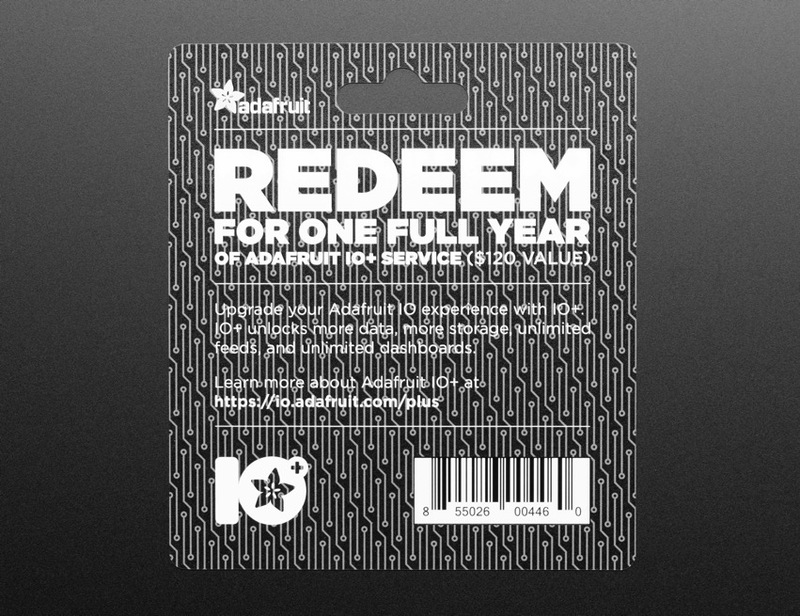 NEW PRODUCT – Adafruit IO+ 1 Year Subscription Card « Adafruit Industries – Makers, hackers, artists, designers and engineers! It’s the Internet of the Things! Adafruit IO+ is the easiest way to stream, log, and interact with your data. 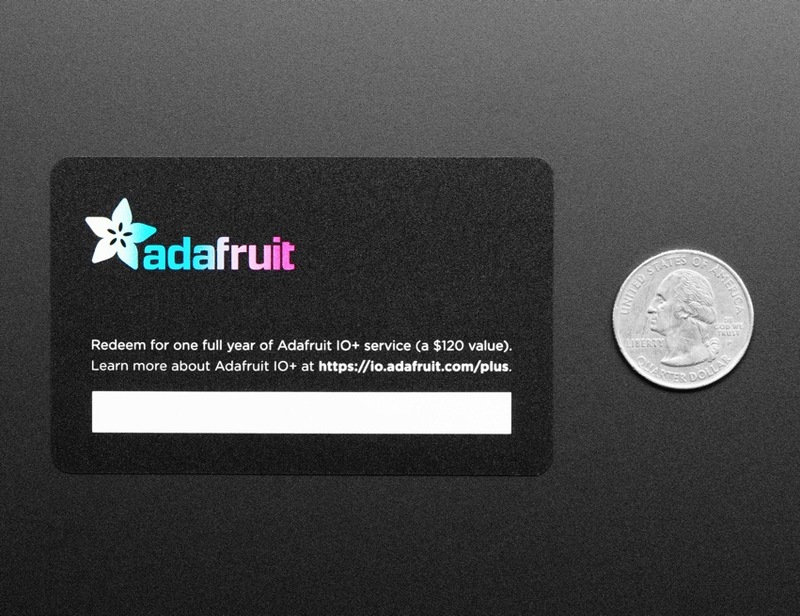 Whether you’re interesting in datalogging or communicating with your microcontroller over the web, Adafruit IO is our cloud service built from the ground up. Our basic free account is great, and lets you have plenty of feeds and dashboards. But maybe you want more than ‘plenty’ and maybe you want to take advantage of some of our API extras like our Dark Sky weather service integration. 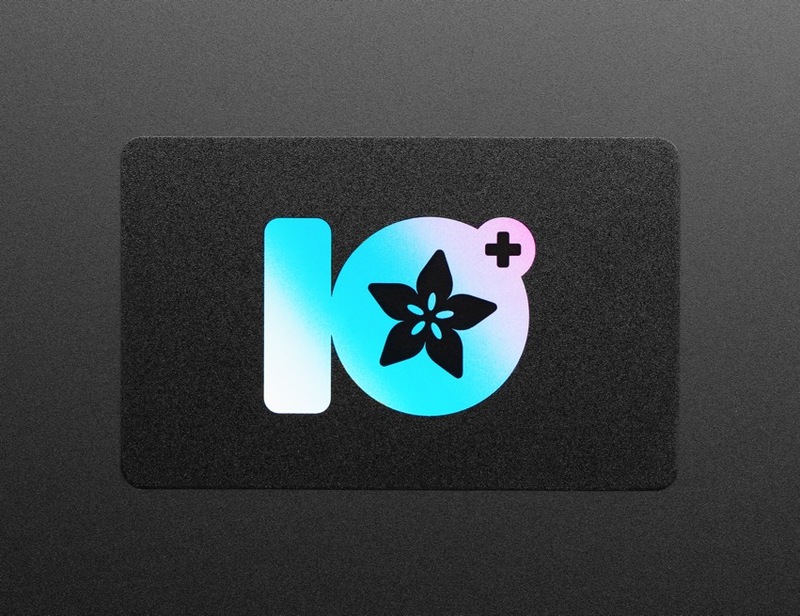 Best of all, your IO+ account helps support adding more and more cool services! Members Only jackets have already been done, and secret handshakes can be hard to remember, so we came up with the next coolest thing, a minimal yet elegant Adafruit IO+ Subscription Card! 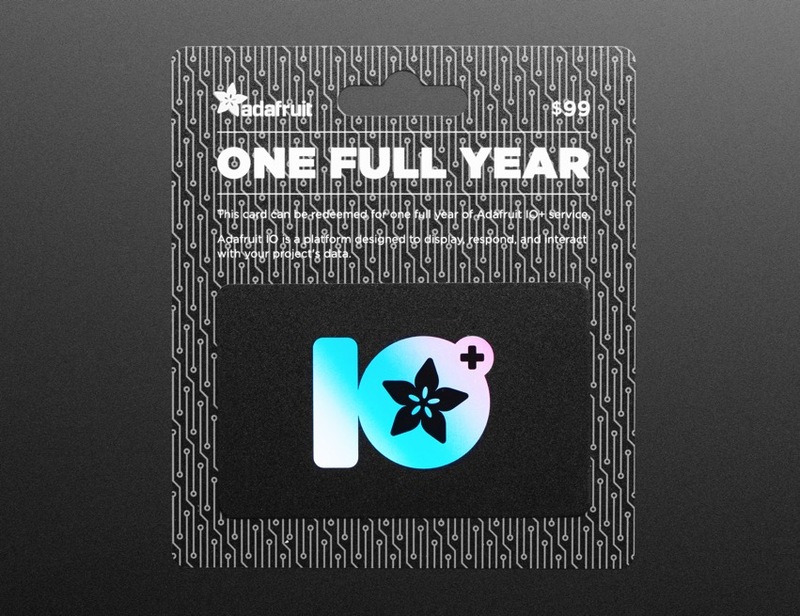 This card comes with a code on the back (we’ve redacted it, above) and when typed into your Adafruit IO account, will activate a full year of Adafruit IO+ service for all the IoT projects you can dream up. You even get it at a discount, normally you’d be paying $10 a month ($120) but a year’s worth is only $99 – a 20% discount! Check out our development boards like the Feather Huzzah or start with a kit for IoT beginners, like the Adafruit IO Starter Pack. If you need more power, upgrade to a Raspberry Pi to create more complex Internet of Things appliances. Once your devices are set up, and you’re hooked on IoT, come join the Adafruit IO+ fun!